Sometimes in the wedding industry I get to meet some really cool people. 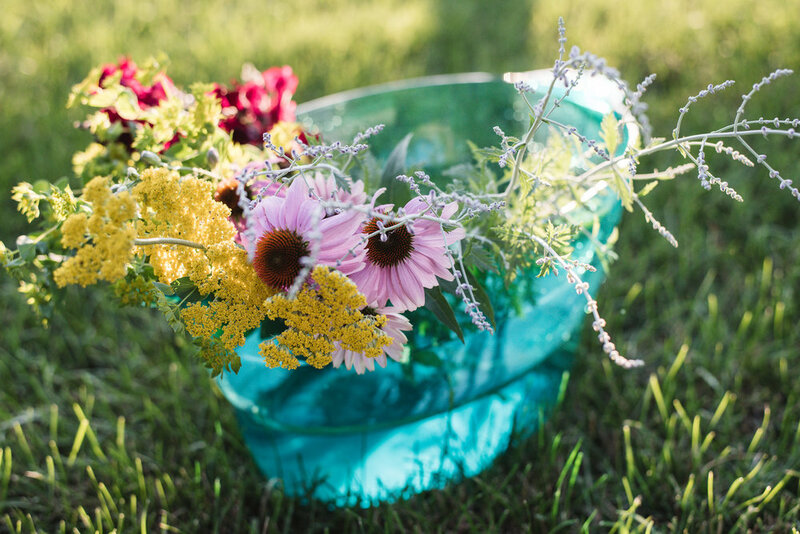 I met Brooke Baker, owner of Zekie Jane Flowers, at a bridal show at Cheers Chalet in Lancaster in the early spring and immediately fell in love with her work. She grows wedding flowers at her house!! I recently had the pleasure of visiting Brooke's farm and got to see all the magic she has created that she shares with brides who want unique, homegrown flowers for their weddings. If you love to buy local and you're looking for a rustic, loose, wildflower bouquet, you should contact her! Brooke can do flowers for your entire wedding, including bouquets, corsages, boutonnieres, altar flowers, garland... the list goes on and on! You can visit her Zekie Jane Flowers website here after you take a little peek at these! !